Remember the old and celebrate the new in the latest issue of Prim Perfect! Welcome to our special celebratory birthday issue and more of our new range of features in Prim Perfect magazine, as well as those you know and love! Some of you may be wondering why I am posed in such a precarious position for my editorial picture (balanced on a beachball which in turn rests on a very sharp pinnacle). Others (those with a sense of history) may be grinning. That’s because I’m standing in DaBoom, the very first region created in Second Life. So why the beach ball? 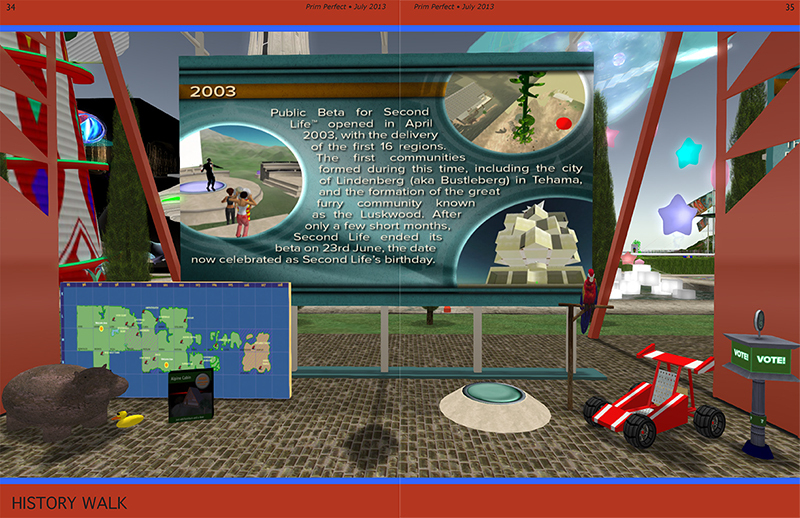 Well, that is an object that predates the launch of Second Life … and you have a copy of it in your inventory. Look for the Beach Ball in your Library (it’s in the Objects folder), If you Inspect it you’ll see that it has a creation date of Tues April 30 04:41:13 2002. And the creator is… Philip Linden. 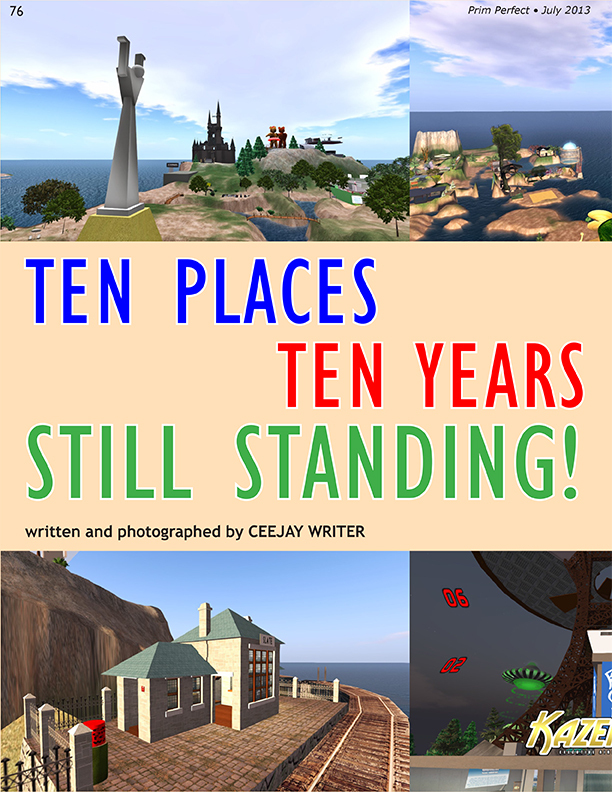 Ceejay Writer talks more about this and about Places that have stood the test of time, dating back to the very early days of Second Life, while PJ Trenton has an elegiac photo tribute to places we have loved and lost. But, as we all know, rumours of the demise of Second Life tend to be exagerated – and to prove it, Honour McMillan has found ten exciting new locations that prove that creativity is still very much alive here. Of course, if you were worried about creativity, a visit to the Second Life 10th Birthday Community Celebrations should have put your mind at rest. Qwis Greenwood takes a look there – and PJ Trenton has captured the last ten years from Marianne McCann’s terrific History Walk, while Rosamoo Mendelsohn sheds some light on Hunting at the Community Celebrations! But what about the people who made it all happen? 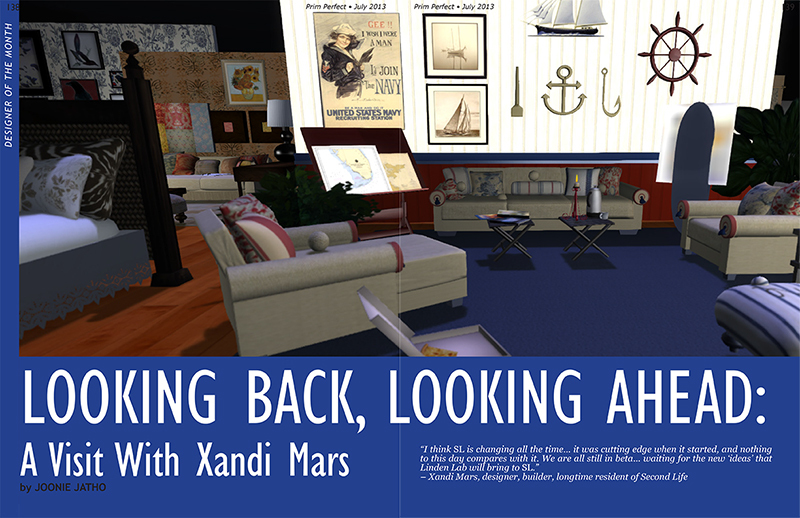 Judi Newall has been talking to long term residents about their memories of Second Life … while Joonie Jatho talks to Xandi Mars about her memories of the grid. From coming out of Beta (and counting it a red letter day when there were 500 avatars on the grid simultaneously) to working with mesh, Xandio has seen it all … and she shares her experiences! There’s a report on the Home and Garden Expo from Cinders Vale and Beq Janus brings us up-to-date with Relay for Life. We also have the fourth in our major series on Mesh by Beq Janus who supplies some special files that you can upload and experiment with! 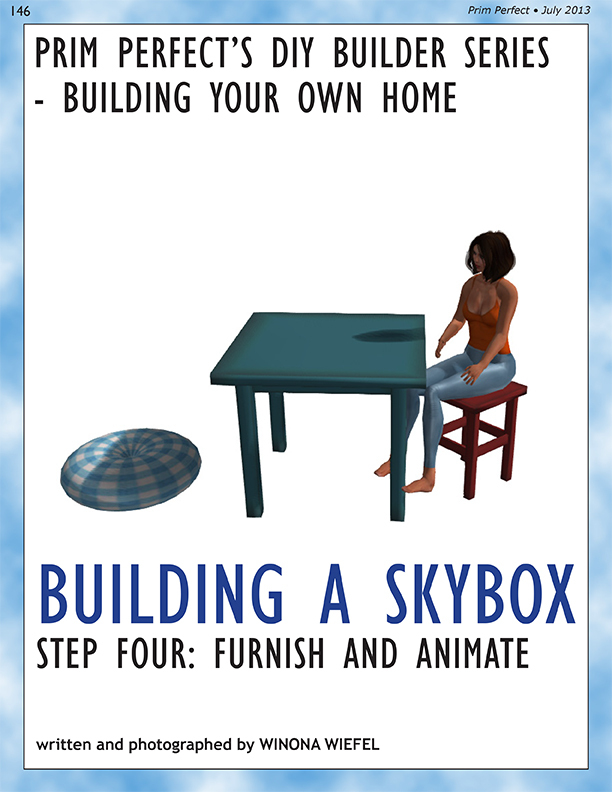 And Winona Wiefel supplies more information on how to develop your own home in Part 4 of our Building a Skybox series. As always, there are details from our TV shows, Designing Worlds and Happy Hunting!, available on Treet TV. Our team of talented photographers, led by PJ Trenton, Beq Janus, Winona Wiefel, Wildstar Beaumont, and Honour McMillan, bring you some of the most artistic eye candy from across the metaverse. All this with News From the Grid and more! So how can I get Prim Perfect? 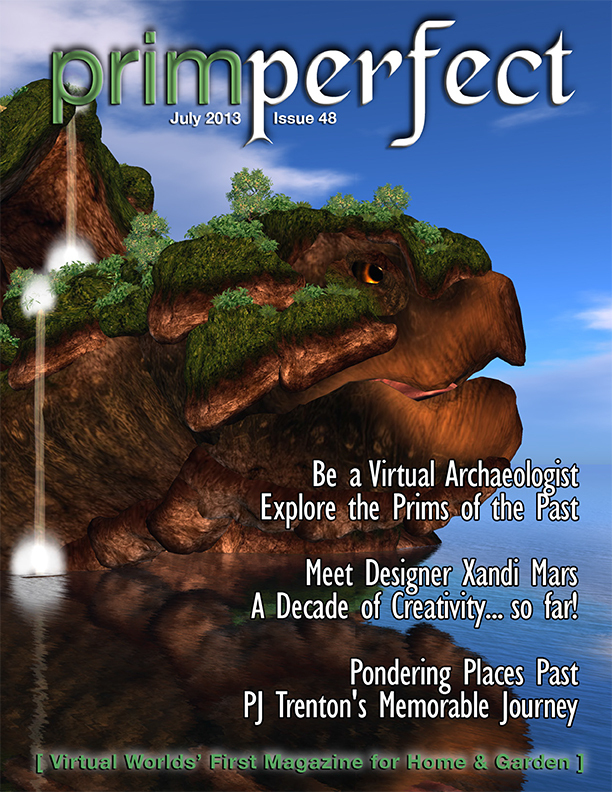 Prim Perfect: Issue 48 – July 2013 – Places that remain! 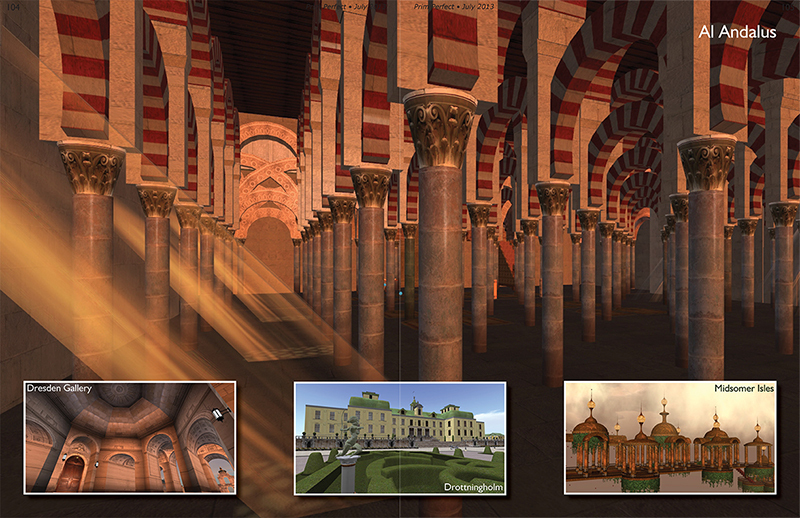 If you prefer to read the magazine online but not inworld, there are choices. Firstly, there’s the wonderful Calaméo system, which allows you to moves smoothly through the pages, giving you the feeling of reading a real magazine. You’ll find Issue 48 here – and please do leave a comment! But, if you like to download your magazines to read as you commute to work, or in the bath, or wherever, you can also download a pdf of the magazine from Calameo – or print it out!. You can get the latest issue inworld – and copies of all our earlier issues too – at our head offices in the Irish Isles. It has a great cafe to relax in while you’re reading the latest issue too! We also have subscribe-o-matic kiosks throughout Second Life – so you can just click to subscribe. You’ll be sent a copy of the latest issue, and then you’ll receive your issues regularly! 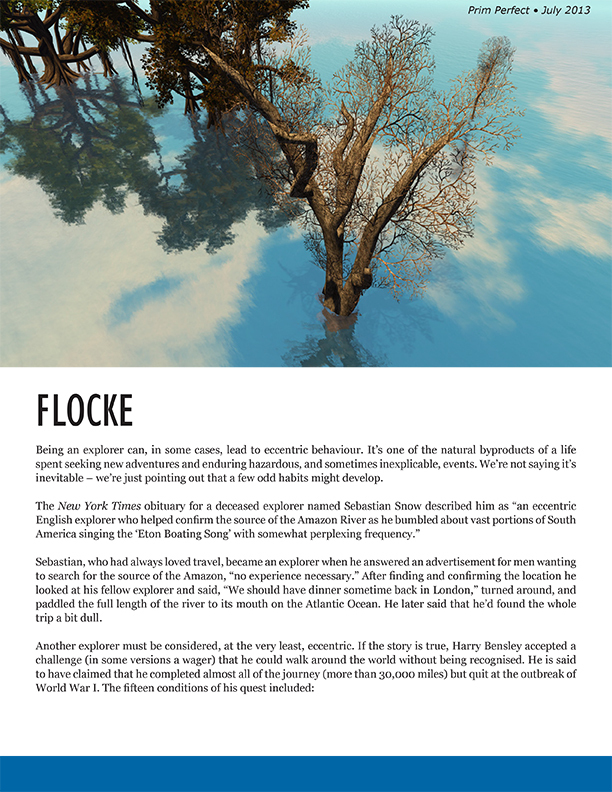 Prim Perfect: Issue 48 – July 2013 – Building a skybox – Part 4! 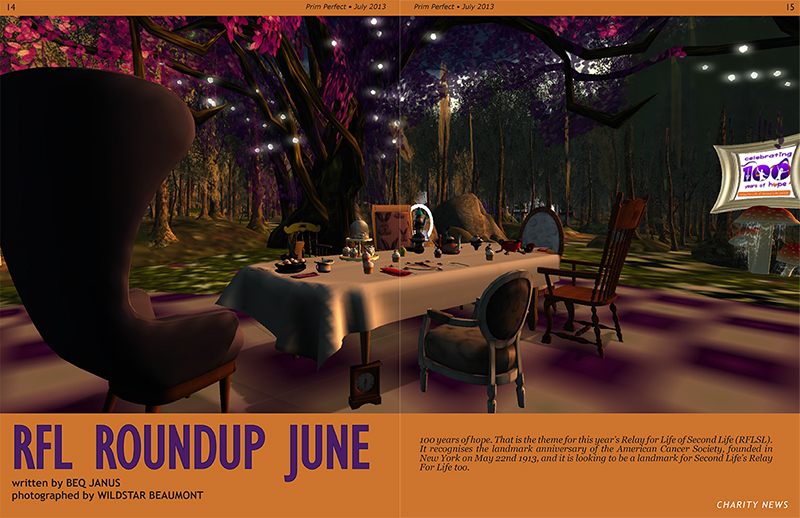 Or you can have it delivered to you each month as an IntelliBook, by joining the Prim Perfect Readers group inworld. It costs nothing to join and, apart from delivering the magazine each month, we won’t overload you with chat or messages! So … enjoy! And let us know what you think of our new edition! 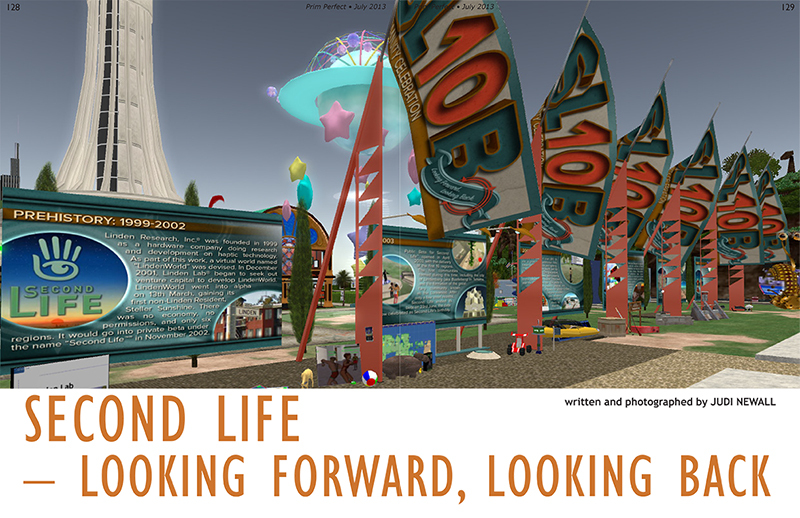 Previous Post: Designing Worlds pays a final visit to the SL10B Community Celebrations! Next Post: Relay for Life Weekend kicks off!